Simulacast: Sunday 6/15 we had the opportunity to have a live Video call with our team at Calvary Chapel Ndola in Zambia. What a blessing it was to share words of encouragement and prayer together with our brothers and sisters on the other side of the world! The conference with CC Ndola is going well. Pastor Mike and Pastor Carlos are currently teaching through the book of Ephesians. New people that we have been inviting are coming each day and we are using this opportunity to get them connected with Pastor Ackson and CC Ndola. This morning Mike and I went with Pastor Ackson to the city counsel to talk to the head of land development to see if any progress has been made in acquiring land for the church. Things are slow going in that regard but we’re praying there will be a breakthrough soon. We’re looking forward to tomorrow and Sunday where the church is coming to our guesthouse for an American meal as this will give us more time with other members of the church that have not been able to join us for the conference during the day this week. Next Monday – Wednesday we will be involved in street evangelism in the area that the church meets. We’ll be going to Pastor Ackson’s house for a group meal as well as playing CC Ndola in a soccer game on Thursday (that should be fun…..) We’ll be meeting with the church one last time on Thursday night for prayer/worship/ and our goodbyes before we head off to the Safari lodge to debrief on Friday and Saturday. We’ll head back to Lusaka on Sunday were we’ll be leaving for the States that night. That the Lord would continue to minister to our team as He has been faithful to do so far. Pictures: We are ministering at a assisted living home here in Ndola. Gospel skit, and 2 of kids praying with the patients. Pictures also of Pastor Mike teaching at the conference. Hello everyone, I just wanted to update you all on our trip to Ndola Zambia so far. The last two days have been a whirlwind with traveling to Ndola on Monday, and getting situated Tuesday,and with the Conference today. The flights here were long and uneventful and we were all very tired by the time we landed in Lusaka on Monday afternoon. We had to run a couple of errands, we grabbed some water and a bite to eat and then headed out for our 6 hour drive North to Ndola. I think we all arrived around 11:30 pm and by the time we sorted to rooms out and got settled it was 1 a.m. We were all thankful for the ability to lay down after so many hours of sitting on a seat either on a plane or on the bus! Tuesday came really early. A couple of us went food shopping and the rest worked on some cards we were going to give away during some ministry opportunities later in the week. We left for a Public High School around lunchtime and had a program with the Christian club that meets in that school. others came to listen to us worship, and to hear a gospel message by Mike. The invitation went out, and some gave their lives to the Lord. Others recommitted their lives, and our team broke up and spoke and prayed with the students afterwards. It was a sweet time of equal blessing and it impacted our kids as well. Today was the first day of our church conference at CC Ndola where we will be going through the book of Ephesians. Both Mike and I taught, and although there were a few hiccups with the time (the venue was not ready for us) all in all I think it was a good start. Tomorrow we will be doing some ministry at a home for the elderly near by and then we’ll be at the Conference all afternoon. 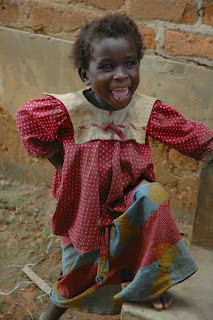 Everyone is doing well and adjusting to life (and time) here in Africa. Things never go as planned, and it’s pretty much a guarantee that whatever is planned will start 30 -60 mins late. They have a saying here “This Is Africa” it’s true. Expect the unexpected! Thanks for praying for us, please continue to be praying that the Lord would use His Word to encourage and strengthen the church here in Zambia as well as for the new believers to come and get connected to CC Ndola as well. Our times in the Word, worship and prayer as a group (CC Philly team) have been rich, and please pray that the Lord would continue to reveal Himself more and more as we gather. I’ll try to update soon. The pictures are of our group talking and praying with the High School kids from Tuesday’s outreach. Sr. High Zambia Mission Trip Video! Hello everyone, like the tittle of this posts says, we are all home after 31 hours of traveling from Lusaka, Zambia to Philadelphia. We arrived in the evening on Saturday, and really, I’m just starting to feel normal this morning (Tuesday, July 3rd). Thanks for bearing with me regarding these updates. I cannot tell you how frustrating it is to access the internet in Zambia. I was going there expecting it to be slow, but I thought I could at least find one or two locations that would allow me to upload pictures – sadly enough this proved to be to much for their systems, and despite lots of attempts, I couldn’t get anything up. Anyway, regarding the trip, it was a great blessing for all that were involved. The church there in Ndola were greatly encouraged by our team, and by the results of the various ministries that they had set up for us during our time there. By the last couple of days, our team from CC Philly, and the church there in Ndola really grew close, and I know that friendships have been formed that will last for a long time. Not only is it safe to say that the church was blessed, but I think our group of 22 may have been blessed even more. For many of them, this was their first time in Zambia, and for quite a few, this was their first time out of the United States! Culture shock set in, but after being there a couple of days I got to see first hand the Lord speak to them, give them His heart for the lost there in Ndola, fill them with His love, and Holy Spirit, and use them in great ways. Many Zambians gave their hearts to Christ, and we pray now that they will get connected with pastor Ackson, and his wonderful church there in Ndola. As we are back now in the States, the challenge will be to not forget the things the Lord showed us, but rather to act upon them, and to continue to live them out. We must remember the things that we’ve seen (both good and bad), the people we met, the smells we smelled, the hardships we had faced, the unity that we gained, and the Lord that we saw work wonders in our midst. Lord willing the work in Ndola will continue with or without our team going there each year, but I pray that the Lord would continue to see fit that we have the privilege to work side by side with our brothers and sisters there for a long time! I think for the next couple of posts I’m going to have some of the Sr. High students write about the trip, and the things that the Lord showed them during their time in Zambia. So stayed connected as I get that set up as well as add some more pictures and videos of the trip to the site. A Few Pictures From the Field.. .
Here’s the summary of Brian’s trip to North Africa. Please continue to be praying for him, and his family as they seek the Lord’s will regarding their long term future there. Hi everyone, well, it seems like the only place that has reliable power, and any type of internet in Zambia is here in the capital Lusaka. We’re getting ready to leave tomorrow morning and I used the little time I had to run over to the internet cafe to let you all know that we’re still alive, and that we’re all doing great! No sickness, no injuries, and we’re all filled with all of the Lord’s abundant blessings! All the construction jobs got done, and then some. The guys worked hard, and the lord blessed the work of their hands. The teachings went well, and all the 150 pastors at the conference on Saturday we’re blessed. The time at Kafue National Park over the last 2 days were wonderful, I’ll have to tell you another time about the elephant that decided to invade the lodge and walk all around our chalets! Anyway, everyone is doing great, being blessed, and we’ll all have lots to talk about when we get home. Pray for our 2 flights tomorrow, and that we can all return to our families quickly. Thanks for all your prayers this past week, the Lord moved and I believe that Jesus was glorified. When I get back to the states, I’ll write more. Hi everyone, it’s around 10:30 A.M. Lusaka, Zambia time, and we’re right about ready to start our two day drive North to Kasempa. We’ll be stopping in Ndola tonight. The past two days of flying have been uneventful, but really tiring! Thanks for your prayers for our safety, our flights were very smooth and all on time. All of our bags got here as well, which is another answer to prayer. Please continue to pray for our travels by van now and for the remainder of the trip. Everyone is doing fine, tired, but also excited to be here. I don’t know how often I’ll be able to update this when we get to Kasempa, but I’ll try to do it when I can. Thanks again for your prayers, we feel them, and are so encouraged by them – please keep it up! Hello everyone, well, in little over a week a team from C.C. Philly will be heading to Kasempa, Zambia to visit our missionaries Ron and Bridget Wint with Lumba Christian Ministries. The trip is going to serve a coupe of different purposes, the main one being construction needs. Nine out of the eleven people going have a construction/ electrical background and will be working on various projects that are in dire need of repair. Please pray that they would be able to fix what needs to be fixed using the VERY limited tools that will be available. There are no Home Depots in the country, and the closest town that may have materials is a six hour round trip drive. So please pray that what the Lord would want fixed, gets fixed/built, and that the problems that will no doubt come – will just be little diversions met with creative Holy Spirit guided solutions! While the rest of the team will be working on these various projects, myself and Brian Weed will be teaching at various churches throughout the area. It’s a always a joy to spend time with the pastors there, and we are praying that the Lord would be glorified in our teaching, as well as in our fellowship with these men of God. Also, on Saturday, March 20th we will be hosting a Pastors Conference where all the different pastors in the area from different denominations and backgrounds will be invited to attend. Typically we can expect a couple hundred people to be in attendance. Please be praying for this time, as Brian and I teach through the first 8 chapters of the book of Romans. Pray that the Lord would address any questions on doctrine that needs to be addressed, and most of all that the Pastors would leave encouraged in the Word, and in the work that the Lord has called them to. Lastly, we will spend some time visiting and hanging out with the orphans there in Kasempa, that are supported through donors Stateside under Lumba Christian Ministries. As I have written in the past, this is the kind of trip that has many unknown variables, and anything could go wrong at anytime, ie. transportation, sickness, snake bites, severe rain etc etc. So I do really mean it when I am asking you guys to be praying for our safety and for the Lord to bless this trip beyond what I can even ask or think. Our team feels it when the saints are praying for them, so please be praying for us – the trip dates are March 11th – 25th. I will try to update this site with pictures while there in Zambia but because of the extremely poor communication where we are in Northern Zambia, I can’t make any promises! Lastly, I wanted to present an opportunity to anyone in the Philadelphia area that may be reading this regarding ministering to Muslim Refugees from Chad. We have some opportunities available to minister to Muslim Refugees that have been relocated from their home countries to the Philadelphia area. If you have a heart to minister to Muslims from another culture and have been praying about opportunities to do that, please send me an email and I will give you some more information.